One thing you can say about Lake Oswego Reads—it likes to stay topical. Last year’s book pick, Rise of the Rocket Girls, with its spotlight on the contributions of female mathematicians to NASA’s early space missions ensured that Lake Oswegans were discussing what the rest of America was discovering through the Academy Award nominated movie, Hidden Figures. This year as immigration is part of the national discussion with legislators grappling over border wall funding and the fate of DACA, the library has a month-long lineup of activities surrounding the theme of The Book of Unknown Americans by Cristina Henriquez. The book lends insight into the immigration experience through the eyes of one family who pick up everything they know in hopes of finding resources and opportunities for their daughter who has sustained a near fatal accident. Free copies of the book were handed out earlier this month but check with the library—there might be extras. If not, you can try checking a copy out or find one online. Be sure to take advantage of the variety of events the library has planned throughout the month and throughout the city. Here’s just a sampling of what’s in store. 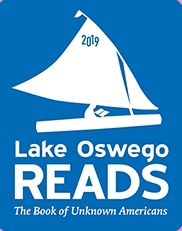 For a complete list check the Lake Oswego library website. EVERYTHING ABOUT THE U.S. IMMIGRATION SYSTEM. Have questions about the immigration system but didn’t know who to ask? Legal advocate, scholar and Lake Oswego resident Susan Dussalt will be on hand to answer your questions like: How do people become U.S. citizens? How do some people live and work in the U.S. without legal immigration status? Come hear about the legal and human aspects of immigration. Friday, February 1 at 7:00 p.m. Lake Oswego City Hall Council Chambers, 380 A Avenue. FOREIGN LANGUAGE SCAVENGER HUNT. Here’s fun for the whole family. Translate directions for each clue by completing different games and activities. Saturday, February 2 at 1:00 p.m. Lake Oswego Senior High School Gym, 2501 Country Club Road. MEET SOME DREAMERS. Try putting some faces to the discussion. Meet Luis Balderas-Villagrana, a junior at Portland State University and student body president who came to the United States when he was seven to escape violence of drug cartels in Mexico. Saturday, February 9 at 10:30 a.m. Oswego Heritage House, 398 10th Street. INTERRUPTING HATE CONVERSATION. Lake Oswego’s local group, Respond to Racism, offers a presentation on how hate escalates and the things we can do to change it. Sunday, February 10 at 3:00 p.m. Lake Oswego City Hall Council Chambers, 380 A Avenue. AUTHOR PRESENTATION AND BOOK SIGNING. Hear Cristina Henriquez speak and answer your questions. Ticketed guests receive first seating. At 6:45 if seats remain, others can be seated. Send in your questions in advance. Wednesday, February 13 at 7:00 p.m. Lake Oswego High School Auditorium, 2501 Country Club Road. HERE NOW: ART INSPIRED BY THE IMMIGRANT EXPERIENCE. Attend the opening reception for this art show that gives you insight into the immigration experience through an artist’s lens. Friday, February 15 from 5:00 p.m. to 7:00 p.m. ARTspace, 510 1st Street. CONVERSATIONS WITH IMMIGRANTS. Don’t make assumptions. Educate yourself by listening to locals who have been through the experience. Jorge Zuniga, owner of Casa del Pollo, a Costa Rican restaurant here in Lake Oswego and attorney Luis Garcia with Marandas & Sinlapasai, P.C., also here in Lake Oswego. MEXICAN COOKING DEMONSTRATION: SOUP TO SWEETS. Enjoy this hands-on presentation with cooking instructor Edurne Garcia-Andre from San Miguel de Allende. She will show you how to make Tarascan soup, Horchata water, Bunuelos and cinnamon tea. Register and prepay $5 at the library (706 Fourth Street) as enrollment is limited. Demonstration takes place at the Chamber of Commerce office, 459 3rd Street. Stay up to date on what’s happening in Lake Oswego by subscribing to my blog. Click the “Sign me up” button in the top right hand column. I feel pretty lucky—I live where I work and I love where I live. As a Realtor in Lake Oswego, I get to share that enthusiasm with clients every day. Through this blog, with the help of my freelance writer wife, Genita, I’d like to share that enthusiasm with you. The quality of life you’ll find in Lake Oswego belies its size—there is so much to experience here from a fireworks show over the lake on the 4th of July to the Festival of the Arts--one of the premier arts events in the region. So please check in each week for another reason why I love Lake Oswego and who knows—maybe you’ll fall in love too! If you’re interested in experiencing Lake Oswego personally, please feel free to contact me either on my cell at (503) 939-9801, via email at costellok@hasson.com or check my website by clicking the link in the "Contact me" section in the right hand column. I would love to show you around. This entry was posted in Lake Oswego Library and tagged Lake Oswego Oregon, Lake Oswego Reads, The Book of Unknown Americans. Bookmark the permalink.